I’m getting kind of excited about these new toothpaste flavours from Crest, like Chocolate Mint Trek, and Lime Spearmint Zest. Meh. You need to get out more. If it cleans your teeth, it cleans your teeth. I will totally try it. 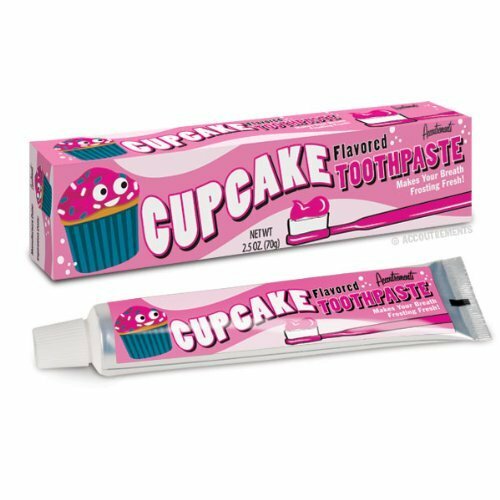 I would also try cupcake toothpaste, which I just discovered. Yes, please. I don’t think I’d try pickle toothpaste or bacon toothpaste. But definitely cupcake toothpaste.